Ok so we are a little biased as our office is based in Bormio…but that just means we know the resort inside out, and can give you some insider tips on the best places to ski, eat and relax. In no particular order, here are the best reasons to book your ski holiday in Bormio this winter. With a top height of 3,000m, the northern Italian ski resort of Bormio offers guaranteed snow every winter. From 2,000m down there are some sheltered tree runs and excellent snow making, partly so they can prepare the Stelvio slope for the FIS world cup men’s downhill ski race held there at the end of December every year. The Bormio and Valleys ski pass offers 4 resorts on one pass – Bormio (50km), Santa Caterina Valfurva (35km), Oga/Cima Piazzi (25km) and free bus travel between them. You can also choose the Alta Valtellina pass, which includes these resorts plus Livigno (115km) – but depending on the time of the season it is sometimes cheaper to get a Bormio and Valleys pass and then pay for a day pass in Livigno separately. The ski area here is long and narrow, with a fantastic 1,800m vertical top to bottom (or ‘Peak to Creak’ as it is marketed), the third longest in Italy, from 3,000m down to the town at 1,225m. Ideal for confident intermediates it offers mainly red runs, a new fun slope and family park, and a snow park and large freeride area for expert skiers. 1,740-2,800m - A small self-contained resort with little road traffic, more suitable for beginners than Bormio thanks to its wide learner slopes, the resort also offers excellent cross-country skiing and off-piste. 1,345 – 2,550 - 2 sides of the same mountain connected at the top. Despite its antiquated lift system (at least on the Oga side), the well-groomed quiet slopes here make this a hidden gem you need to ski at least once during your stay in Bormio. The cosy mountain restaurants in Bormio offer excellent food at much lower prices than you would find in France or Austria. Head up to Heaven 3000 at the top of the mountain for stunning views, La Rocca for great pizza, or Chiosco da Michele at Bormio 2000 for cheap and cheerful sandwiches or plates of pasta. While the après ski and nightlife in Bormio is fairly low key, apart from at weekends and in high season when the Milanese come up to play, Bormio offers some fantastic aperitivo in and around the old town, and some great restaurants including Enoteca Guanella in Via Roma, Agriturismo Rini for local food (more of which in a moment) and Pizzeria Eira, which offers not just excellent pizza but also some superb restaurant options. Valtellina is the name of the main valley that runs from the northern end of Lake Como to Switzerland. Local dishes include pizzocheri – buckwheat pasta with butter, cheese, potatoes and cabbage, sciatt – deep fried battered cubes of local cheese, and polenta taragna, a mix of maize and buckwheat with a healthy dose of, you guessed it, butter and cheese, often served with porcini mushrooms or a meat stew. Valtellina is also famous for its Bresaola – sliced, cured beef often served with porcini mushrooms, rocket and shavings of parmesan cheese. The local Valtellinese wines are also worth trying, with some hearty reds to wash down all that filling mountain food. You’ll notice the terraced vineyards on the mountainside around Tirano and Sondrio on your way to Bormio. Inferno, Sassella and Grumello are the 3 most well-known ones, while Sforzato is the strongest and most-full bodied (and expensive). Long before it became a ski resort, Bormio was a famous spa town. The thermal waters here have been famous since Roman times, and you can find 3 different spa centres, fed directly by thermal hot springs, in and around the town. in the centre of town, complete with 25m pool, outdoor pool and Thermarium spa with saunas and steam room. The least expensive of the 3. (‘old baths’) – the oldest and most famous, located a 5 min drive outside of Bormio, includes a panoramic pool with fantastic views over the Bormio valley, and the original Roman baths. Make sure to book in advance during high season. (‘new baths’) – attached to a grand 5* liberty style hotel, this luxurious spa offers a large garden with lots of pools to wallow in after a day on the slopes. About as far removed from a purpose-built resort as you could hope for, the old town in Bormio stretches along the Via Roma and its side streets up to Piazza Kuerc and across the old bridge to Combo, near to the ski slopes. There are well-preserved medieval churches, frescoes and ornately carved wooden doors wherever you turn, a testament to its history as a centuries-old centre of trade and agriculture in the valley. 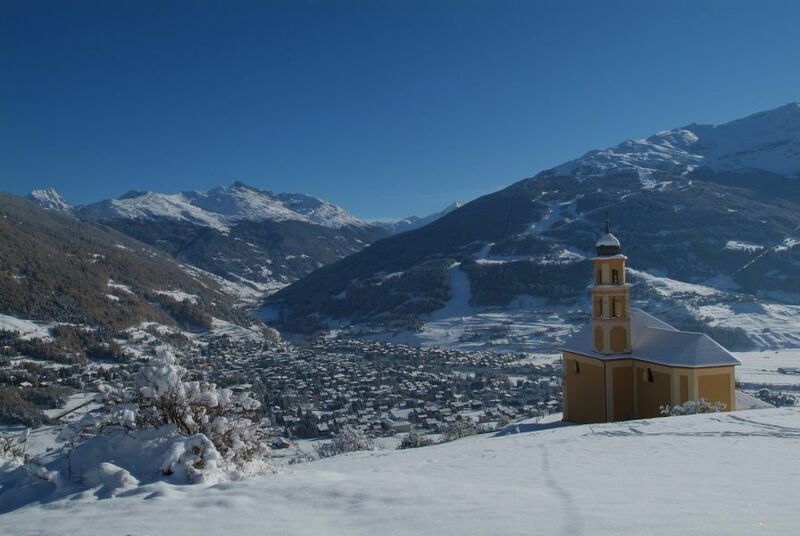 A thriving local community with deep-rooted traditions also give Bormio an appeal beyond that of many other ski towns. If you are here at Easter then the huge parade through the streets of the old town is well worth attending. It also means that any non-skiers travelling with a party of skiers has plenty to do. History buffs can head to the civic museum to find out more about the area through the ages. If all this has you intrigued, then drop us a line to find out how we can organise your ski holiday.